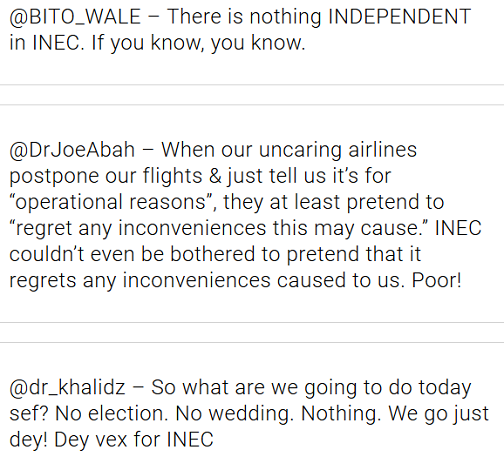 Many Nigerians woke up to the news that INEC has postponed the general elections earlier scheduled for today. 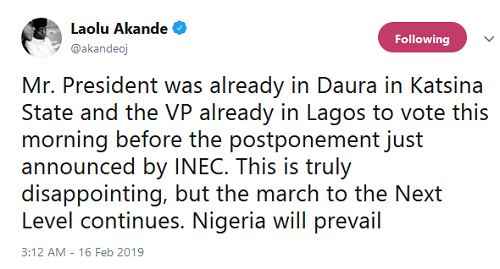 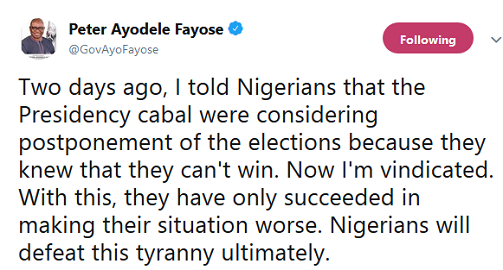 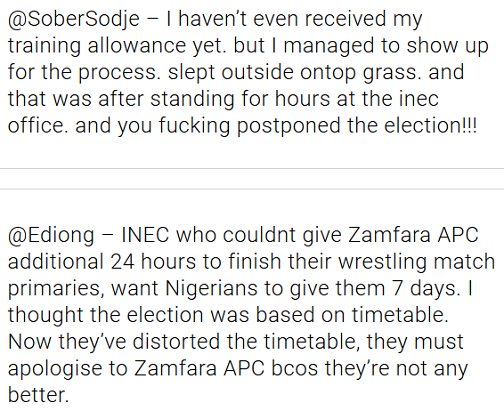 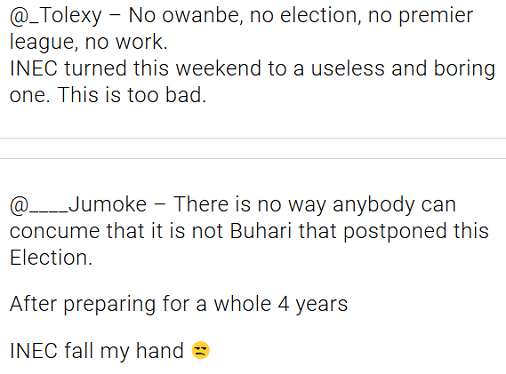 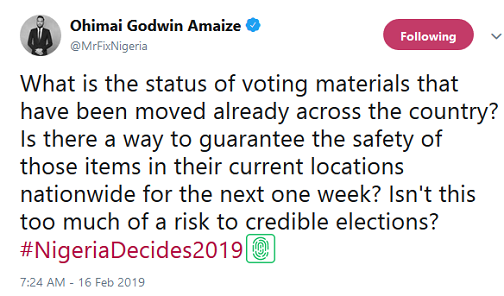 Many are now asking what they want Nigerians to do today, and why it took them this long to announce the postponement considering they had 4 years to prepare…. 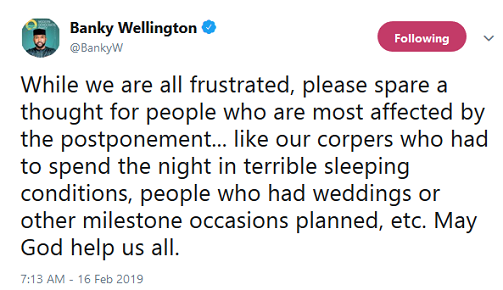 ALSO CHECK: MEET THE AIRPOD, A CAR THAT RUNS ON AIR, DOESNT NEED FUEL.